1. The weather. It’s eighty-four and sunny. No, not today, every day. 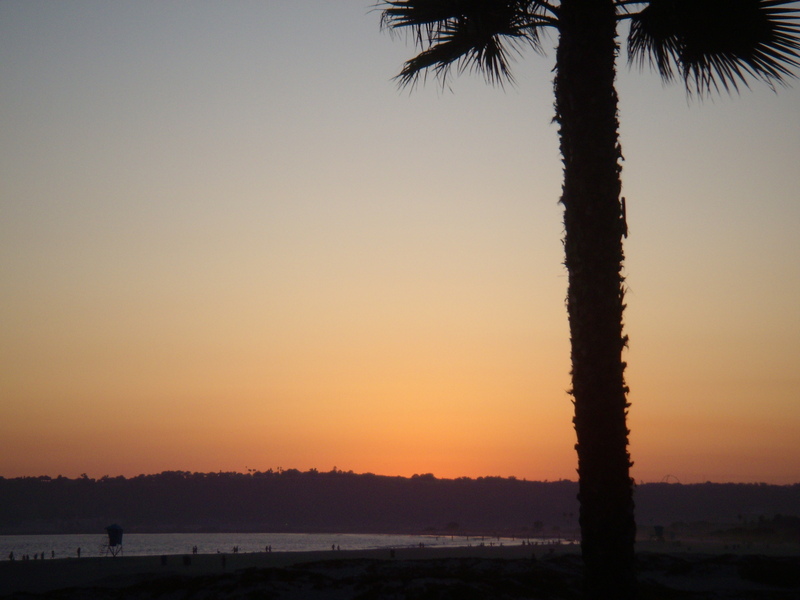 If you suffer from Seasonal affective disorder, like I do, there is no better place to feel good, year round. The greatest weather catastrophe we get is rain, and that’s about once a year. Beat that, Seattle. 2. The beach. I live five miles from the Pacific coast. Need I say more? 3. 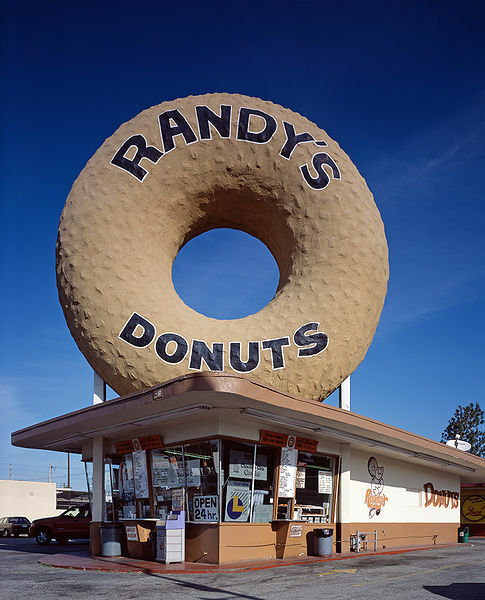 Randy’s Donuts. Short of heaven, I don’t think there is anywhere better to get a hot, fresh donut. If you are ever in LA, even just passing through LAX, make it a point to stop at the giant donut. My only complaint: more restaurants aren’t designed by way of what they serve. 4. Free movies. There really is no place else in the world where people outside theatres give out tickets to free movies. Sure, many of them are previews of movies I have no interest in, but the simple idea that anyone can get into a movie for free (and not try that hard) makes me happy. 5. Downtown LA. There is nowhere quite like Los Angeles’ downtown. Filled with interesting stories, shops, and a rich history, crowned by aging movie palaces down Broadway, it is a shame so many tourists stick to Hollywood. There is really so much more to see. At least see the giant redwoods in Clifton’s Cafeteria if you can. 6. KCSN. It may not always be The Music I Want (per their slogan) but it is always on in my car. I like the variety, the absence of deejays, and their choice to broadcast World Café every day. I don’t understand their programming philosophy, but maybe that is why I like it. 7. South Pasadena. I discovered this sleepy little town off the 110 through my work on their local Patch.com. I recently made this video for the site. Everyone is reasonably friendly, the stores are cute and not ostentatious, and there are some amazing places to get sundaes. Maybe I like it so much because it is so un-LA. The outlying neighborhood of quaint Craftsman houses reminds me of that sleepy little mirage of a town the astronauts find on Mars in Ray Bradbury’s Martian Chronicles. Bradbury is local, after all, and I bet he based it a little bit off South Pas. Probably not the midnight assassination part, but the quaint part, yes. 8. Vroman’s. Located in Pasadena, this little bookstore that could always occupies several hours of my time when I am out that way. A truly independent bookstore, they are always hosting author talks, putting out good employee picks, and stocking up on new releases. When I worry about the future of publishing, I worry about Vroman’s, and hope they can stay open a little bit longer. 9. Independent Cinema. I live a couple of blocks from the Nuart, the Regal, the Royal, the Regent, and the Bruin—all great single screen theaters that do their best to be independent. And where else would Werner Herzog’s Cave of Forgotten Dreams draw crowds other than the Royal in West LA? 10. The Margaret Herrick Library. Some of film’s greatest moments (and an Oscar or two in a display case) are available in this gem of a resource located on La Cienega Boulevard in Beverly Hills. Open to everyone, but used by only a knowledgeable few, it’s a perfect place to spend a couple of hours learning up on some film history. 11. Hollywood. Walking its streets, seeing the lines outside the Pantages, or even passing buskers on the street, something always catches in my throat. I start to see stars, not just the Walk of Fame kind, but the imaginary ones, too. Whatever I may know about the hard rock face of reality, I feel there is possibility here. Even if those opportunities do not exist, or the way up is pretty hard, it doesn’t feel that way on an empty stomach and a head full of stars walking on those streets. This entry was posted in Personal and tagged downtown los angeles, hollywood, los angeles, oscar library, screenwriting. Bookmark the permalink. Cool! Thanks for the mention. Great post! Love Randy’s Donuts! The video of Pasadena is very engaging, you got it right about the morning crowd!